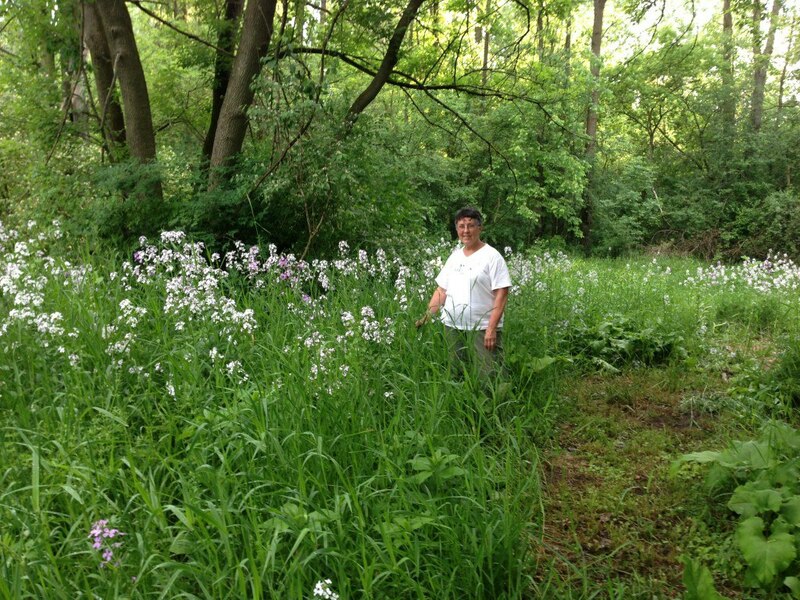 My mother is standing in an area of wood phlox flowers. This is right in front of my two bee hives. With all the rain we’ve had they have grown about 2 feet in the past week.